John graduated from the University of Adelaide in 1981. During his studies, he won a Defence Force scholarship, awarded by recommendation for his academic and clinical achievements. He was a Captain Dental Officer in the Army until 1984. To complete his residency, he undertook postgraduate training in oral diagnosis, oral and maxillofacial surgery, oral and plastic surgery, head and neck cancer surgery and orthodontics in England and Scotland. Working in the NHS emergency departments there, his positions were associated with the Faculty of Dental Surgery, Royal Colleges of Surgeons, Edinburgh and the Ireland Accredited Oral Surgery Training Programmes. After returning to Australia, John decided to enter general dentistry practice with an emphasis on managing complex cases. In 1992, he travelled to Sweden to train at the world-renowned Branemark Institute for Dental Implants and Oral Rehabilitation. While there, he obtained a qualification as an accredited implant surgeon/practitioner at the University of Gothenburg, where the modern form of implants were invented and rigorously researched. Over the years, John has placed over 1000 implants, often including sinus lifts or bone grafting and ranging from single to multiple implants depending upon the patient’s goals. To maintain his knowledge, John regularly attends postgraduate courses such as advanced training in sedation, orthodontics, endodontics and periodontics. He has studied at the University of NSW under Dr Dzung Vu, well-known for his oral surgery expertise and has taken courses in bone and soft tissue grafting at Melbourne University, as well as numerous courses in implant dentistry with the Australian Society of Implant Dentistry. 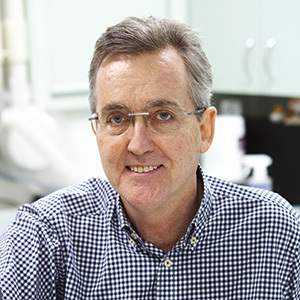 John is a member of the Irish Dental Council and the Australian Dental Association. With extensive experience, he practices in nearly all aspects of dentistry. Additionally, he was the consultant dental surgeon at the Tallangatta Health Service. He has been a senior visiting medical officer at The Broken Hill Base hospital, often called on for his expertise in oral trauma surgery. John holds full admitting and theatre rights at Albury-Wodonga Private Hospital. He has two sons, one of whom is studying oral health therapy and intends on progressing to dentistry and the other studying medicine. You’re welcome to use health fund coverage at John Appleyard Dental. 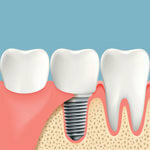 Contact us today to arrange your first appointment!